The Lansing area offers a huge array of culture located near the beautiful campus of Michigan State University, recreational attractions, the State Capitol and quick access to Metropolitan areas such as Grand Rapids and Detroit. If you seek a career opportunity with a family owned, established company, and ideal work environment - this is the place for you! Physician job opportunity with a world-class Urgent Care company with facilities located in the Greater Lansing Area. Lansing Urgent Care has an excellent reputation within the Greater Lansing Community. Our State-of-the-Art facilities coupled with a professional staff is ideal for candidates seeking a fast-paced, team oriented environment with excellent compensation. Candidates are preferably board certified in Family Practice or Emergency Medicine, have excellent bedside manner and work well with other physicians and mid-levels. Package offers competitive salary, impressive benefits, and CME reimbursement program. Currently seeking candidates interested in full-time, part-time, overnight and per diem opportunities. Please complete below form to express your interest in this position. Physician Assistant job opportunity with a world-class Urgent Care Company located in the Greater Lansing Area. Our state-of-the-art facilities coupled with high patient volumes and professional staff is ideal for candidates seeking a fast-paced, team-oriented environment with top-notch compensation. Ideal candidates should have excellent bedside manner and work well with physicians and other mid-levels. Package offers competitive salary, impressive benefits, and CME reimbursement program. The Radiology Technician will assist Providers; MDs, DOs, PAs, clinical, and administrative staff in the examination and treatment of our patients. Radiology Technicians perform tasks necessary to complete ordered X-Rays of patients following Lansing Urgent Care's standards and practices as directed by the Medical Director, Dr. Terry Matthews. Position also performs Medical Assistant duties as well as clerical and administrative tasks as required. Knowledge of Medical Terminology, Computer Skills, Attention to Detail, Confidentiality, Communication Skills, and Customer Service Skills. A Medical Receptionist is responsible for insurance verification, patient registration, patient check-out, shift cash drawer balancing, answer phones and route calls, and other duties associated with a medical office. Position will also maintain patient accounts by obtaining, recording and updating personal and financial information. Strong work ethic and excellent customer service attitude, flexibility, telephone skills, customer service, time management, organization, attention to detail, professionalism, strong communication, punctuality and PC skills are a must. 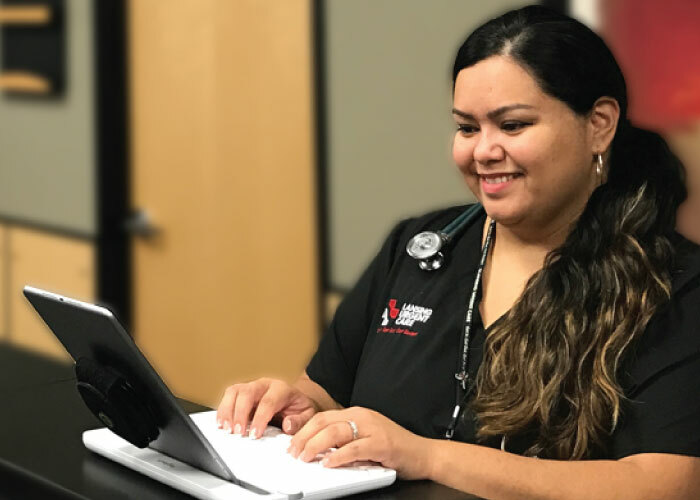 The Medical Assistant will assist Providers; MDs, DOs, PAs, nursing, and administrative staff in the examination, treatment, and perform tasks necessary to complete patient care following Lansing Urgent Care’s standards and practices as directed by the Medical Director, Dr. Terry Matthews. Performs other clerical and administrative tasks as required.